Akkineni Akhil is all set to work with director Vikram Kumar for his second movie. This yet to be titled flick will have an official launch in a few days. 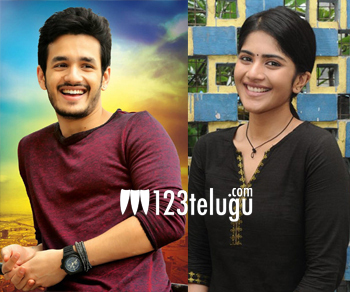 The latest update regarding this movie is that Tamil girl Megha Akash is confirmed as the female lead. This beauty is currently working on a project with Dhanush under Gautham Menon’s direction. Akkineni Nagarjuna produces this movie under his Annapurna studios banner. More details regarding this movie are yet to be revealed.